All Children and Youth are Welcome at SCPC! From the moment you walk in the door, we hope you will feel like this community can be a home for you and your family and friends. We encourage parents to sit anywhere, but up close works well so the children feel included in the service and can see the leaders and the choir. We encourage children to worship with their family, and we provide Children's Bulletins each Sunday on the back tables for pre school and elementary aged children. ​The Time for Children (Children's Message) during the 9:00 am service is mostly done by our Director of Christian Education, Deannine Shipman. She aims her messages at the average age of 5 years old, but children ages 3 through 5th grade are the ones who usually gather around her on the steps. Always based on the Bible, her talks are given in a simple but enjoyable manner to engage the children, and give them something to remember or work on during the next week. The State College Presbyterian Church wants to partner with parents to nurture your child's faith! At SCPC we have many programs for children -- for preschool ages on up. 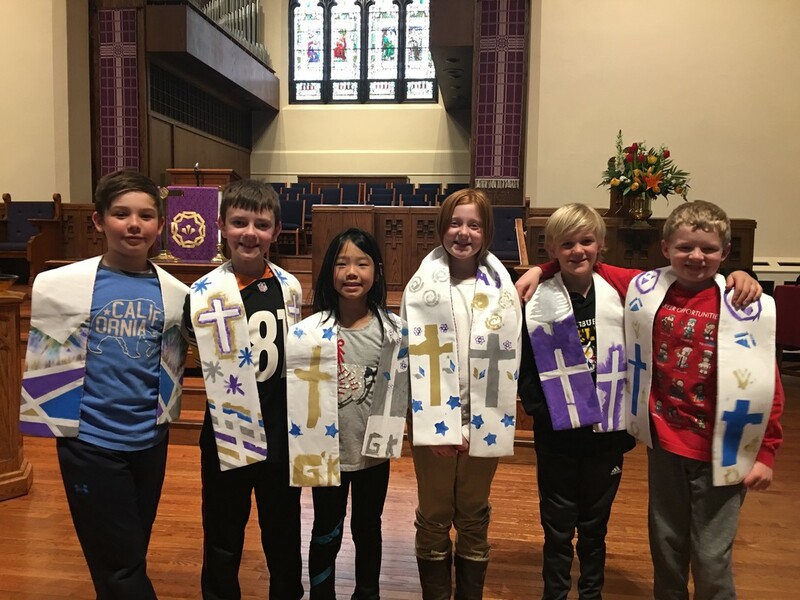 Visit our "Sunday Morning Programs" page and click on the sub-menus to the right to learn more about all of the opportunities available for children and youth. If you don't see what you are looking for, just ask! (contact Deannine Shipman, Director of Education and Program, 238-2422). Our mid-week ministries are listed on additional pages. Think about the gifts each child offers and give thanks for them. What is most challenging can often be turned around and seen as a gift. and see more of the God moments around you!